My local Bernina dealer where I teach classes uses thread catchers similar to this one. 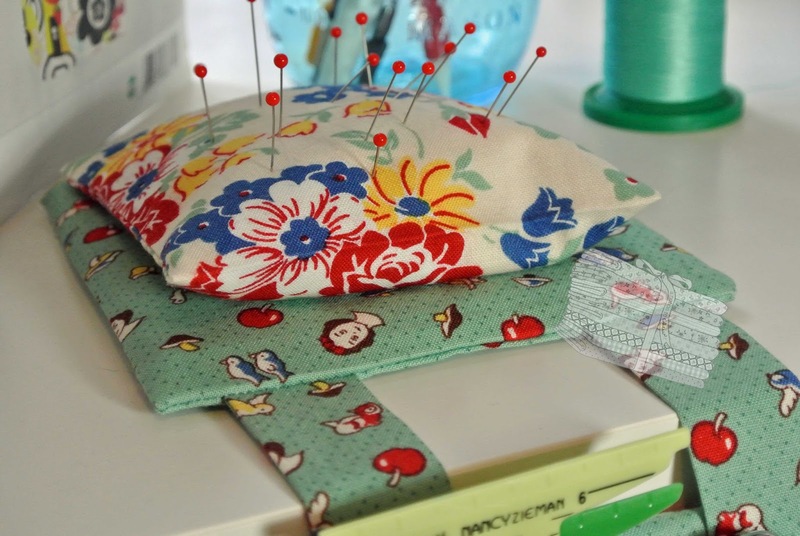 There have been numerous requests for a class on sewing these handy little items. 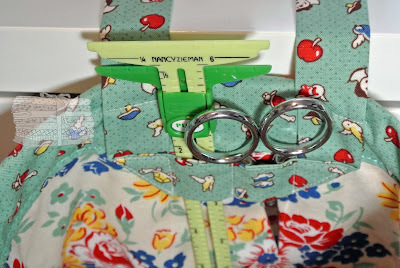 I located a pattern and quickly sewed up this one in great vintage inspired fabric by Kaye England. The top of the holder has an attached pin cushion. The pattern calls for sand as a filler. I used crushed walnut shells because I had them on hand (don't ask). Straps connect the base to the bag. The strap is sewn on in such a way as to provide loops for notion storage. 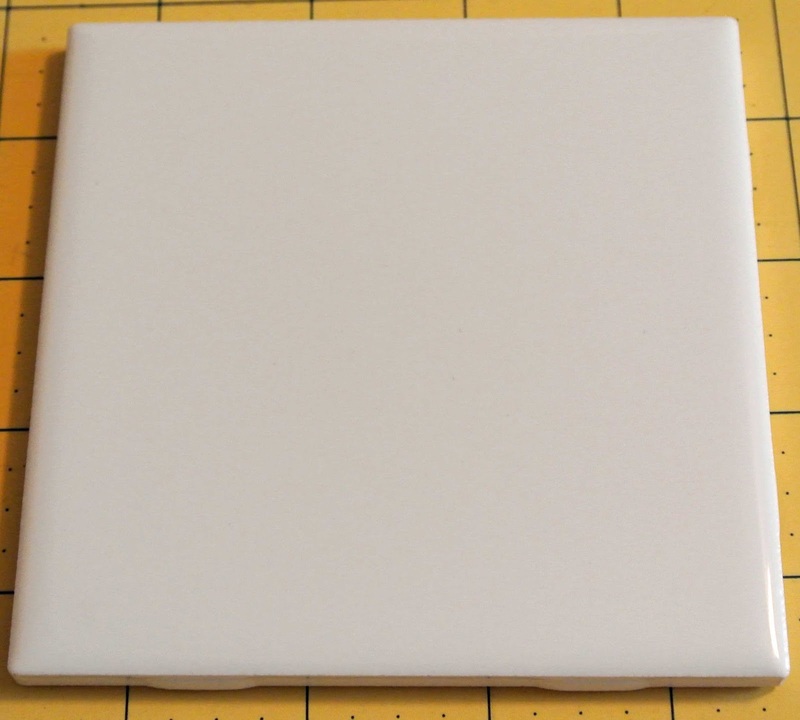 A common, inexpensive tile ($.16 at Home Depot) is inserted into the base under the pin cushion. The unit tends to slip just a bit. Next time, I would use a grip fabric on the underside of the base cover. One could drop an awful lot of thread snips into that thread catcher. 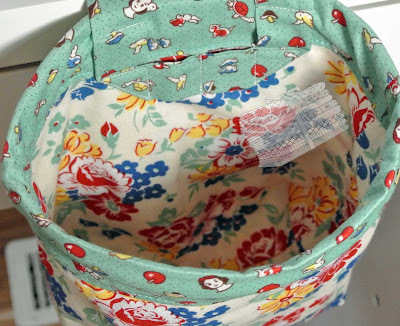 The pattern called for plastic tubing and a dowel in the rim to give it shape. I used 1/4" boning because that's what I had on hand. between the bag lining and outer bag. Speaking for myself as well!!! 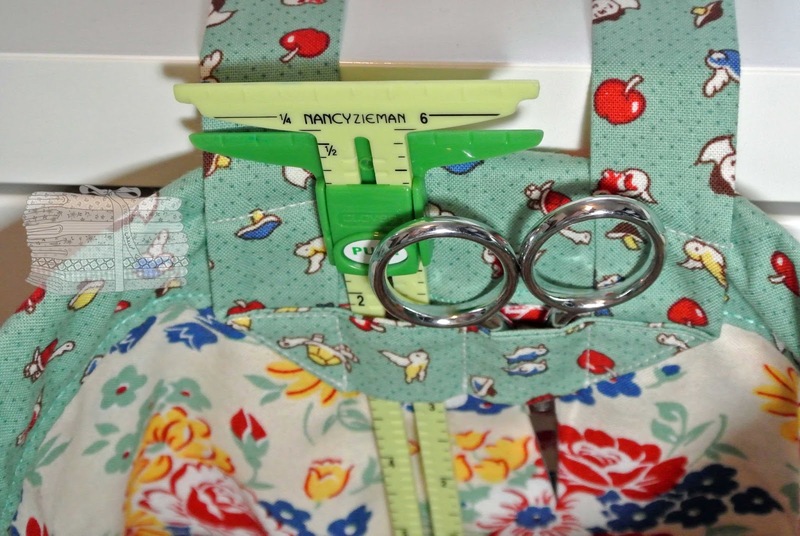 The pattern is Kwik Sew 3886. 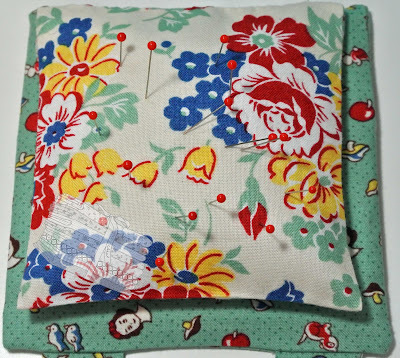 You can sew this up in an afternoon. When you finish you will have somewhere to put it. 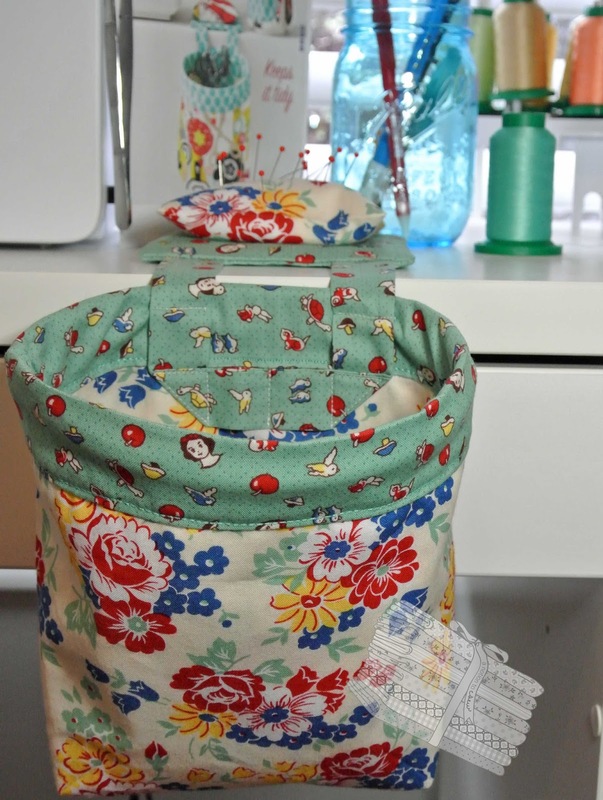 Go on, get busy keeping your sewing space tidy. please send me an email or give me a call if you want us to offer this as a class.